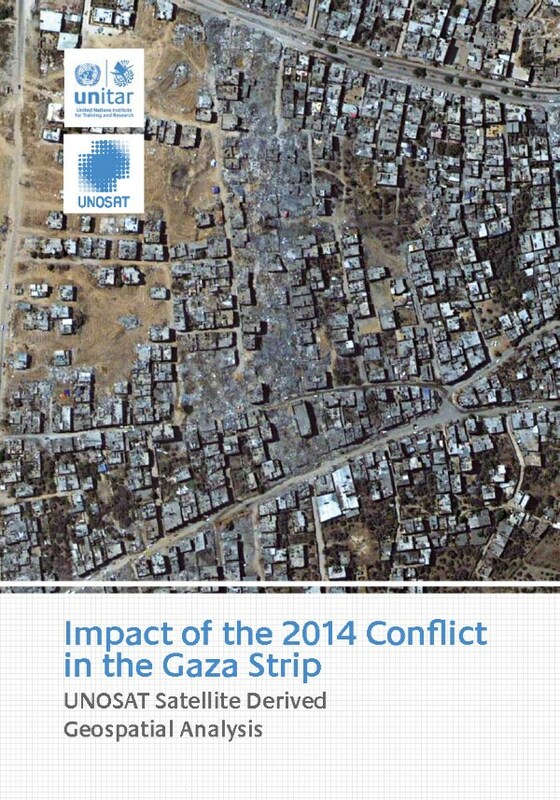 This report documents damage over the Gaza Strip following the July-August 2014 conflict. It is based on analysis of commercial satellite imagery and quantifies damage to overall building structures, health facilities, education facilities, agricultural fields and greenhouses. The study also compares damage from the 2014 conflict to that of the 2009 conflict. The analysis is supplemented by ground photos following UNOSAT deployment to Gaza in September 2014.